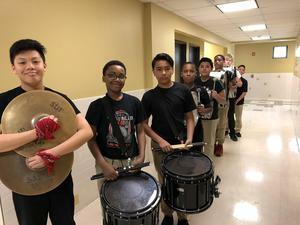 As 3rd-5th grade students were gearing up for this week’s STAAR Tests, eight members of TJMS’s drumline made a surprise appearance last Friday at Adams Elementary’s STAAR Pep-rally. 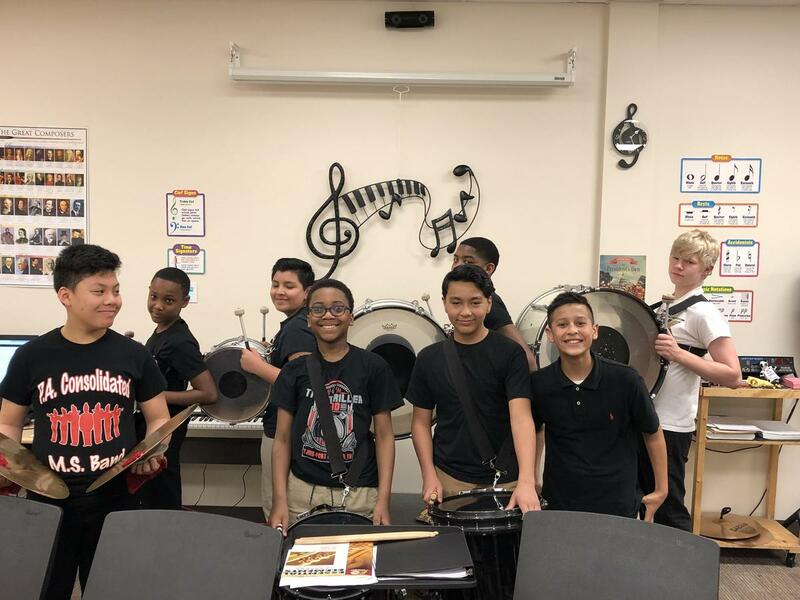 Under the direction of Mr. Kyron Rodriguez, the special performance served to invigorate, motivate, and stimulate the minds of the students and teachers who have worked tirelessly all school year to prepare for STAAR. And what could be a better way to pump up a gym full of students than by the heart-thumping, chest-pounding, soul-riveting thrill of a precision machine like the drumline of TJMS? Cheryl Tripplett, Principal for Adams Elementary, is grateful to the TJMS Band, its director and to Mr. Lupton, TJMS’s Principal, for sharing their amazing and talented students with the children of Staff Sgt. 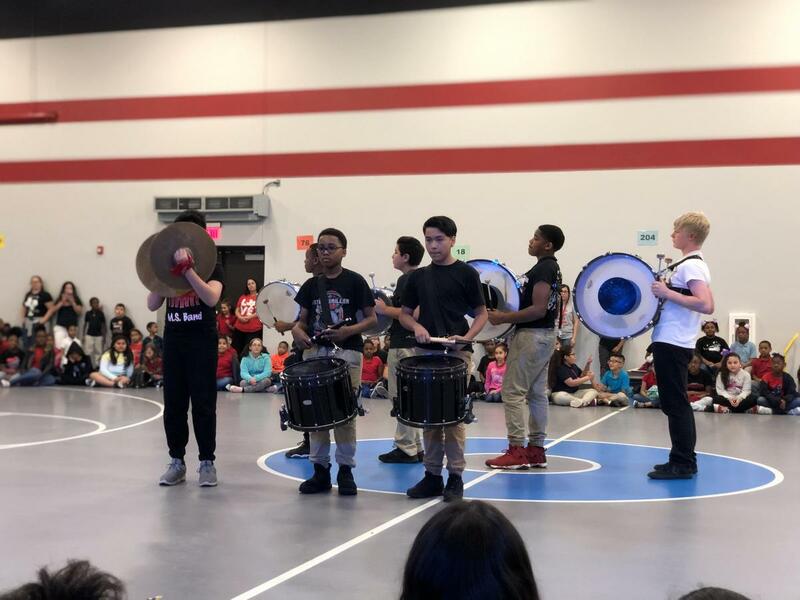 Lucian Adams Elementary and hopes they will come back again next year!